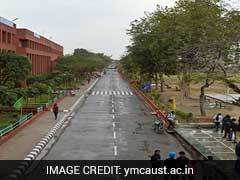 The annual convocation ceremony for YMCA University of Science and Technology, Faridabad will be held today. The convocation will begin at 11:30 am in the University premises. The ceremony will be presided over by the Governor of Haryana and the Chancellor, Shri Kaptan Singh Solanki. 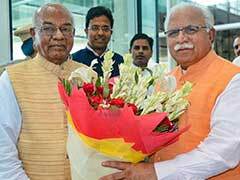 Veteran BJP leader Kaptan Singh Solanki was sworn-in as the new Governor of Haryana on Sunday. Acting Chief Justice of Punjab and Haryana High Court Ashutosh Mohunta administered the oath of office and secrecy to 75-year-old Kaptan Singh Solanki at the premises of Raj Bhawan in Chandigarh. As controversy raged over Haryana's move to create a separate Gurdwara Management Committee, Governor-designate Kaptan Singh Solanki today said the Centre's directive against it "must be obeyed". 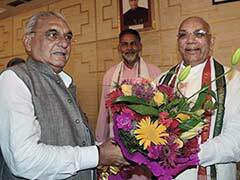 Veteran BJP leader and Rajya Sabha member Kaptan Singh Solanki was on Friday appointed the Governor of Haryana in place of Jagannath Pahadia who completes his tenure on Saturday. 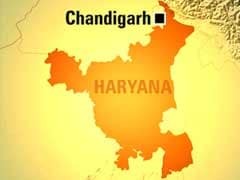 The Governor of Haryana has given Chief Minister Bhoopinder Singh Hooda one week to prove the majority of his government on the floor of the House.